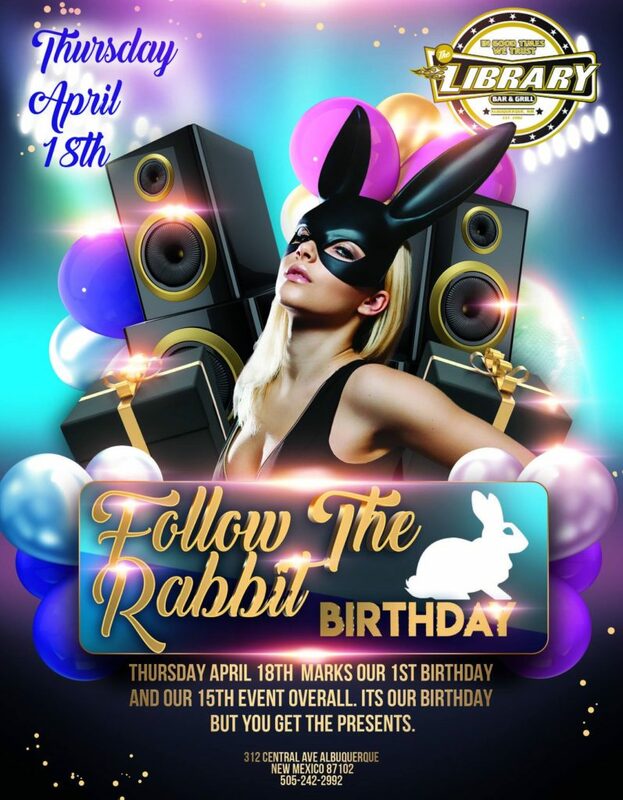 Join us on Thursday April 18th for Follow The Rabbits 1st Birthday Party. It maybe their birthday party but you’ll be the one getting the presents. They’ve been holding events here at the Library now for 1 year and this will be their 15th event overall.. So come out and join Follow The Rabbit and us to celebrate their 1st birthday. The party starts at 9pm with DJ RIIZ RAZ mixxing up the Hottest beats for you to dance to.